Wuhan, the capital of Hubei Province in the heart of China is one of the biggest metropolitans and one of the major commercial hubs in the country. Wuhan is located on Jianghan Plain, a river that intersects lush terrains formed by the Hanjiang River connecting the Yangtze River. Underneath its business exterior, Wuhan is a city with both an ancient history and a flourishing present. Historic relics from ancient tombs recounts Wuhan’s past dating back to 3,500 years. 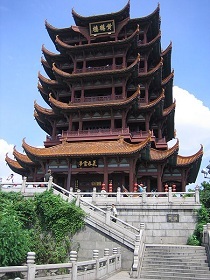 For Chinese history enthusiasts, two must-visit places are the Hubei Provincial Museum and Yellow Crane Tower. Wuhan is also an intellectual hub that consists of several scientific and educational institutions such as Laser City and Wuhan University. Maldivian started operations to Wuhan on 02nd July 2014.